performance as opposed to learning. The research indicates that it's parents' responses to failure, and not their beliefs about intelligence, that are ultimately absorbed by their kids. "Mindsets--children's belief about whether their intelligence is just fixed or can grow--can have a large impact on their achievement and motivation," explains psychological scientist Kyla Haimovitz of Stanford University, first author on the study. "Our findings show that parents can endorse a growth mindset but they might not pass it on to their children unless they have a positive and constructive reaction to their children's struggles." Despite considerable research on mindsets, scientists have found little evidence to suggest that intelligence mindsets are handed down to children from their parents and teachers. Haimovitz and psychology researcher Carol Dweck, a pioneer in mindset research, hypothesized that parents' intelligence mindsets might not transfer to their kids because they aren't readily observable. What kids might see and be sensitive to, the researchers speculated, is their how parents feel about failure. Haimovitz and Dweck surmised that parents convey their views about whether failure is positive or negative through their responses to their children's setbacks. For example, parents who typically show anxiety and concern when their kids come home with a poor quiz grade may convey the belief that intelligence is mostly fixed. Parents who focus instead on learning from the poor grade signal to their kids that intelligence can be built through learning and improvement. In one study, the researchers asked 73 parent-child pairs to answer a series of questions designed to tap into their individual mindsets. The parents rated their agreement with six statements related to failure (e.g., "Experiencing failure facilitates learning and growth") and four statements related to intelligence (e.g., "You can learn new things but you can't really change how intelligent you are"). The children, all 4th- and 5th-grade students, responded to similar statements about intelligence. As expected, there was no association between parents' beliefs about intelligence and their children's beliefs about intelligence. However, parents' attitudes toward failure were linked with how their kids thought about intelligence. Parents who tended to view failure as a negative, harmful event had children who were more likely to believe that intelligence is fixed. And the more negative parents' attitudes were, the more likely their children were to see them as being concerned with performance instead of learning. And the researchers found that parents' beliefs about failure seemed to translate into their reactions to failure. Results from two online studies with a total of almost 300 participants showed that parents who adopted a more negative stance toward failure were more likely to react to their child's hypothetical failing grade with concerns about their child's lack of ability. At the same time, these parents were less likely to show support for the child's learning and improvement. Their reactions to the failing grade were not linked, however, with their beliefs about intelligence. Most importantly, additional data indicated that children were very much attuned to their parents' feelings about failure. 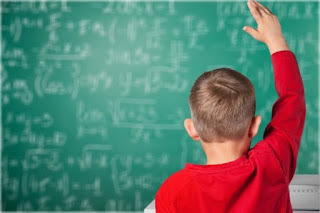 "It is important for parents, educators, and coaches to know that the growth mindset that sits in their heads may not get through to children unless they use learning-focused practices, like discussing what their children could learn from a failure and how they might improve in the future," says Haimovitz. According to Haimovitz and Dweck, these findings could be harnessed to develop interventions that teach parents about the potential upsides of failure, showing parents how they can respond to their children's setbacks in ways that are motivating rather than discouraging. 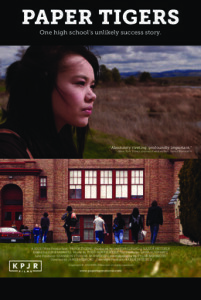 Paper Tigers is an intimate look into the lives of selected students at Lincoln High School, an alternative school that specializes in educating traumatized youth. Set amidst the rural community of Walla Walla, Washington, the film intimately examines the inspiring promise of Trauma Informed Communities - a movement that is showing great promise in healing youth struggling with the dark legacy of Adverse Childhood Experiences (ACES). A panel discussion will follow the community screening. Certificates of attendance will be available to all registered participants. FREE and open to the public; registration is required. *The film is not rated. It does contain some profanity. What Makes an Animal More than Just a Pet? 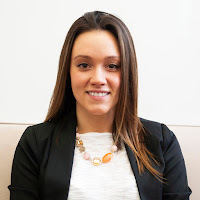 Dr. Jessica Geragosian completed postgraduate training in pediatric neuropsychology at the Massachusetts General Hospital for Children at North Shore Medical Center, where a focus of her work was on neurodevelopmental assessment of young children with developmental challenges. In the hospital, school and clinic settings, she has had diverse clinical experience working with children and adolescents presenting with a wide range of cognitive, learning, social and psychological challenges. She has conducted research on Mild Traumatic Brain Injury, focusing on the social and psychological consequences for adolescents. She has provided wide-ranging school-based services, including assessment, consultation and therapy. 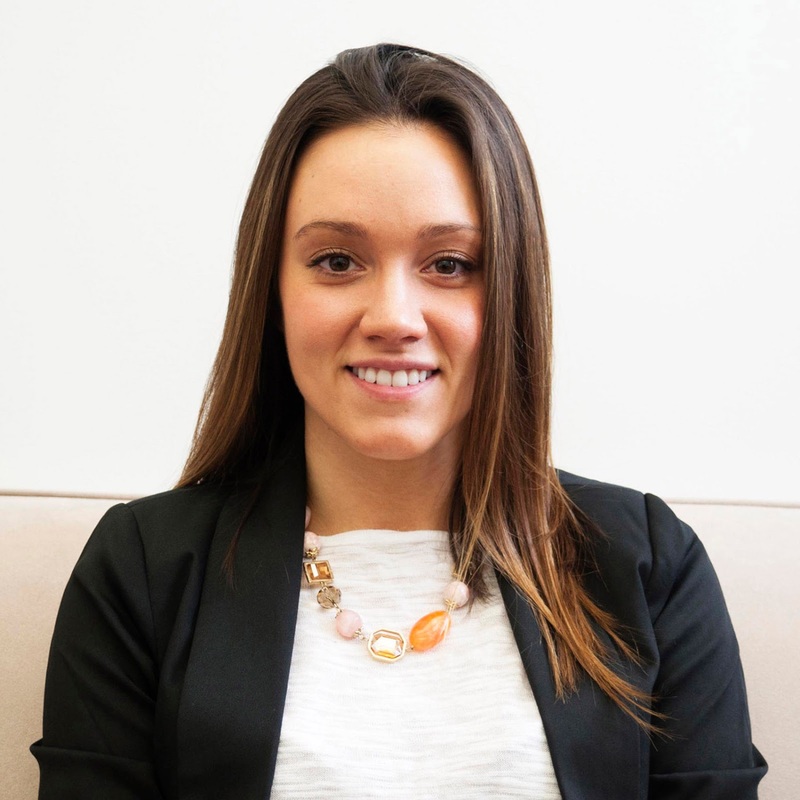 She enjoys working collaboratively with families and other professionals to address the needs of children with developmental delays and autism spectrum disorders. From finding the right clinician to diagnostic tools and parent interviews, there are many steps. The diversity of autism spectrum disorder (ASD) can make it difficult to correctly diagnose. Sometimes autistic children are mistakenly diagnosed with a different disorder, like ADHD, or are told that nothing is wrong. Other times kids are diagnosed as autistic when they actually aren’t. That’s why it’s important for parents to know what the components of an autism diagnosis should be: What kinds of information should a clinician who’s evaluating your child be considering? How can you know whether your clinician is following best practices in doing an assessment? Problems in social communication and social interaction are often what are flagged as possible signs of autism, and that’s one source of confusion. “There are a lot of things that can cause social problems,” points out Dr. Susan Epstein, a neuropsychologist at the Child Mind Institute. If a child is having trouble with formulating phrases or sentences, for example, that can create a situation that might at first glance look like a sign of autism, but could have other causes. “The child has trouble communicating, which causes problems with peers, so the child might become withdrawn. It looks like they’re having social problems, and they are, but it’s of a different nature,” explains Dr. Epstein. Arriving at the right diagnosis requires gathering and interpreting a lot of information about the child. Dr. Epstein, who specializes in evaluating autism spectrum disorder, recommends that children should receive an assessment that goes beyond screening and diagnostic tools to get the fullest possible picture of what is going on before making a diagnosis. There are a variety of screeners that pediatricians or other practitioners might employ as a first step to learning if a child might have autism, before beginning a formal evaluation. Some are questionnaires that parents fill out and others are assessments done by clinicians. The Modified Checklist for Autism in Toddlers, or M-CHAT, is one questionnaire that is used to identify red flags. The M-CHAT asks questions about behaviors that might indicate autism, but Dr. Epstein warns that the test purposefully “casts a very broad net,” so it often flags children who may or may not be autistic. Similar scales include the Childhood Autism Rating Scale and the Ages and Stages Questionnaire, which is more of a basic developmental screener. The Screening Tool for Autism in Toddlers and Young Children, or STAT, is another screener that probes for autism symptom behaviors in more detail than the other screeners mentioned, but is still intended to be used as a tool to catch children who are candidates for further evaluation. Screener results alone should never be considered a diagnosis. If a screener indicates that a child may have autism spectrum disorder, the child should receive a comprehensive evaluation from someone trained in diagnosing autism. This evaluation will often begin with a diagnostic instrument such as the Autism Diagnostic Observation Schedule, or the ADOS-2. The ADOS is a test with different modules to accommodate a range of children. There is a version for toddlers that is play-based. For kids older than thirty months, there are modules that include more conversation, according to the child’s language level. This isn’t the kind of test where there are right answers. The purpose of the ADOS is to evaluate the social skills and repetitive behaviors the child displays during the test. This means the evaluator is paying attention to things like if the child asks for help when he needs it, gives other people a chance to speak, and follows along with changes of subject. The Communication and Symbolic Behavior Scales (CSBS) is another good diagnostic instrument for toddlers and young children. This play-based instrument is also backed by research, but is used less than the ADOS, which covers a broader age range. Dr. Epstein notes that even with these tools it is important to be working with a mental health professional who has experience diagnosing people on the autism spectrum. “You want to be working with someone who understands the subtleties,” she says. A recent study underscores the difficulty in distinguishing between autism and other disorders, like ADHD, using even gold-standard tools like ADOS. Looking at school age kids with high verbal functioning, the study found that found that 21% of children with ADHD—but not autism—met diagnostic criteria for autism when given the ADOS. Adds Catherine Lord, director of the Center for Autism and the Developing Brain at New York-Presbyterian Hospital, who developed the ADOS, it’s important to consider the motivation for the behavior. A child with ADHD might avoid an adult’s gaze because he thinks he has done something wrong, she tells Spectrum, rather than because of a social deficit. Or, a child’s face might be unexpressive because she is bored or distracted, not because she is less expressive in general. Screeners and diagnostic tools are ways of gathering information, but they have to be considered in the context of other information from a range of adults who know the child. A full evaluation should also include a thorough interview with the child’s parents that covers general development and current concerns. The interview will also closely investigate ASD-related symptoms. 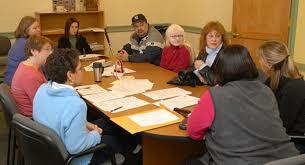 To gather more information, parents might be asked to fill out special questionnaires as well. The Autism Diagnostic Interview, Revised (or ADI-R) is one such interview, and is often paired with the ADOS. However the ADI-R takes two hours to provide, making it difficult to use in clinical assessments, Dr. Epstein notes. An interview based on the ADI-R or a parent checklist, such as the Social Communication Questionnaire, can also be effective if it is led by a clinician trained in diagnosing autism. Dr. Epstein explains that it is important to include early developmental information during the interview, because there are many circumstances where symptoms are more obvious earlier, say at around four years of age, but diminish as the child grows. “If you aren’t attending to that early development and you have an eight or ten year old, for example, you’re going to risk really missing out,” she warns. Having that information about early development can help the provider make a more accurate diagnosis. If the child is of school age, it is also helpful if the practitioner can speak to the child’s teacher to get their point of view, too. A school visit to observe the child would be “absolutely ideal,” says Dr. Epstein, but not always possible. A conversation with the teacher, or having the teacher fill out a questionnaire, will give the person doing the evaluation some insight into what the teacher is seeing firsthand at school, which may be different from what parents are seeing at home. An assessment should also include some amount of cognitive testing. 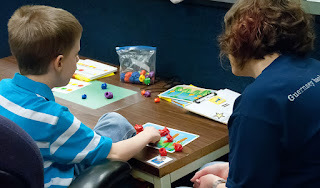 One reason for this is that cognitive testing gives the person doing the assessment another chance to examine the child’s behavior, but this time under different circumstances. The ADOS is a socially loaded test that is also less structured, which might be difficult for some kids. Dr. Epstein explains that some kids will do better during a more structured cognitive test when they are answering specific questions. “Or, maybe they will get upset during the cognitive testing if they don’t know the answer to a particular question, and they might have a tantrum,” says Dr. Epstein. All of this information is helpful for the person doing the evaluation. Screeners are often given by pediatricians, but if there are red flags that indicate further evaluation would be appropriate, it is best to work with someone who has both experience and expertise in diagnosing children on the autism spectrum. “You’re not going to go to a doctor for a heart transplant who’s done two or three, right?” says Dr. Epstein. “It’s the same with autism. You want someone who’s seen hundreds of kids with all different stripes – typical children, intellectually disabled children, autistic children — and knows what to look for.” Academic and medical centers are often good places to find experienced diagnosticians. What’s your training and experience? Have you had specific training in assessment of people on the spectrum? How much? What do you plan to do as part of this assessment? Will you be contacting my child’s teacher or pediatrician? Try to find a practitioner who is able to answer your questions readily and makes you feel comfortable. A clinician who takes your concerns seriously and is experienced in assessing autism spectrum disorder is essential to getting an accurate diagnosis.